CAR reader Ronan Glon sent in these spy photos of the new 2012 BMW 3-series and 2013 Mercedes CLC. We're not sure where Ronan lives, but judging by these photos it may be in South Africa or America - both warm-weather climates where the Germans undertake durability testing. Munich has launched the 1-series first, but the 3-series is again paired closely to the Golf-alike hatch. We'll see the new Three this autumn, before UK sales kick off in earnest in spring 2012. He's spotted the 3-series saloon, the first in a range of bodystyles that'll swell to include a Touring estate, GT hatchaloon, four-door coupe and coupe and convertible twins to be crowned by the successor to the M3. Ronan reckons this is the CLC. That's the new four-door coupe that'll sit as part of the Merc small car family, spun off the same oily bits as the new Merc A- and B-class. We remain to be convinced - that rear shot in particular looks more like a bigger coupe such as the CL. But then maybe it's the camera angle. 'I took these three spy shots within the last week,' Ronan tells CAR. 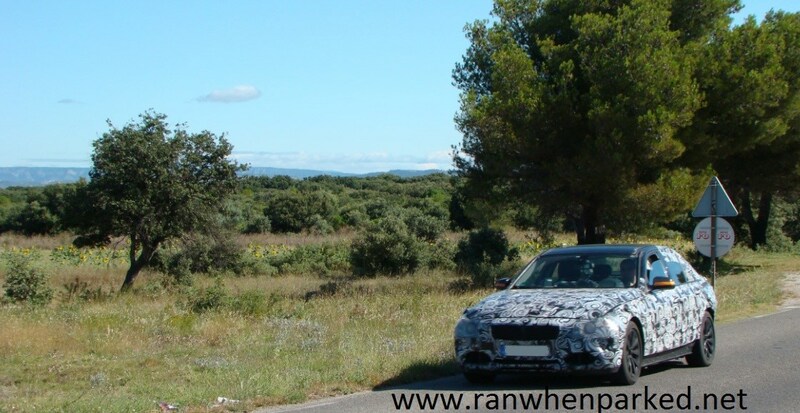 'The first two are of the upcoming Mercedes CLC, it's wearing less camouflage than in the desert photos you published. We're not quite sure where Ronan lives, but we like the look of his passing traffic!